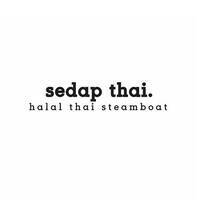 Located in Berseh Food Centre, Sedap Thai is the place to be for a memorable Halal mookata experience. This Thai BBQ and steamboat joint offers a meat and seafood platter to patrons to grill or boil in dome-shaped grills. Patrons may choose to have their cuts of meat and seafood with a chicken or tom yum broth. Included in the platter are fresh slices of black pepper chicken, beef, prawns, sotong, and many more. Each platter set comes with a veggie basket, and can be topped up with some vermicelli noodles, rice, and additional meat.